Looking for a snack that’s almost as good as a hug from your mum? It has to be banana bread. Available from every good café, banana bread is comfort food at its very best. Is it bread? Is it cake? It doesn’t matter – it’s delicious! And the great news is you don’t need to leave this one to the professionals. For around the same cost as a slice of banana bread at a café you can make yourself a whole loaf of the good stuff to enjoy at home. 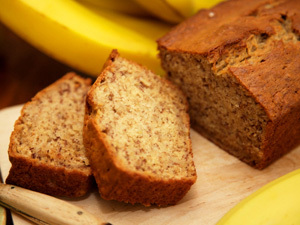 Banana bread is perfect for breakfast or morning tea, toasted with butter and honey. Or you can even serve it as a dessert with a dollop of vanilla ice cream. With affordable bananas back in everyone’s fruit bowls, there’s bound to be a couple that are a bit past their best that you can pop into this recipe. Once you have the base recipe down, you can also try your hand at the many variations of this adaptable loaf (see below). Banana bread will keep in an airtight container for three days (if it lasts that long). You can also double the recipe and place one loaf in the freezer for up to a month. 1. Preheat your oven to 180°C. Grease a loaf pan with melted butter or margarine. 2. Line the tin with non-stick baking paper, which will make it easy to remove the loaf once cooked. 3. Sift the two flours and cinnamon into a mixing bowl, and then add the sugar. 4. Add in the milk, eggs, melted butter and banana, and stir until just combined. 5. Pour into the prepared tin, ensuring the top is smooth. Bake for 45-50 minutes or until a skewer inserted into the centre comes out clean. 6. Remove from oven and set aside in the pan for 5 minutes. Turn onto a wire rack to cool completely. Cut into slices to serve. Now Eat Your Greens…they’re good for you! Kale…now eat all your greens! Have you seen the movie “Fat Sick and Nearly Dead”? Well in the movie Joe Cross is constantly talking about Kale and how good it is for you. So we thought let’s investigate this wonder green vegetable. Have you tried it? Well Abby Phon demystifies this vegetable for us. Here is a preview of Fat Sick and Nearly Dead, try and find a copy or cinema screening near you. This Australian is making world wide headlines with his juicing revelation and Joe Cross loves kale! It’s no secret. I love kale. I have received phone calls, emails, texts and messages from friends and family saying that they just cooked kale for the first time and thought of me; last week a friend called from the grocery store, just because she saw kale and was reminded of me. This is probably a good indication of how I feel about kale. Kale is not fussy. It doesn’t require much prep at all so it’s a really great food friend to have, especially if you’re a busy person on the go (and let’s face it, who isn’t!?). As with all veggies (and especially dark green leafy ones), make sure you wash each leaf in cold water thoroughly. While they are dripping dry, cut out the big stem in the middle. Or what I do is grab hold of the bottom stem and pull, tearing that stalk out! Viola! Your kale is ready to go! Here are some things to do with it, once you’ve got it in your hands. Kale Salad: If you’re a raw food purist or just in a warm climate and want something fresh, chop kale finely (amount is up to you!) . I recommend this lemon/tahini dressing: olive oil, a spoonful of tahini paste and fresh lemon juice; pour over the finely chopped green leaves and let sit for 15 to 20 minutes. The dressing will ‘marinade’ the leaves, softening them and soaking up the sunny goodness. Top with whatever veggies you like! Some of my favorites are yellow peppers, shaved fennel, avocado, pomegranate seeds and sliced cucumbers! Sautéing/Braising: My favorite way to make kale is to sauté it with garlic and coconut oil (great as a side dish or as part of a main dish!). I use 2-3 cloves of garlic and about 1 tbsp coconut oil to one big bunch of kale. Gently heat the garlic then add the washed and chopped kale to your frying pan. You want to cook it over a medium-low heat until the leaves soften and wilt. How long you sauté is a personal preference, but I like my kale to keep some of its bright vibrant green color and health benefits so I don’t cook it for more than five minutes (remember, even if you turn off the heat, food keeps cooking!). If you want to go without oil, try braising: simmer in three-quarters of a cup of veggie broth for 20 minutes to soften up the leaves , drain and serve. Also: I add chopped kale to soups, stews, grains (like millet and quinoa), mashed potatoes and pasta (about a cup but the amount is up to you!). Last year when I was on vacation in the Caribbean, I had the chef add it to my omelet (delish!) and at home on the weekends I often use it as a bed for poached eggs or toss it in a smoothie. 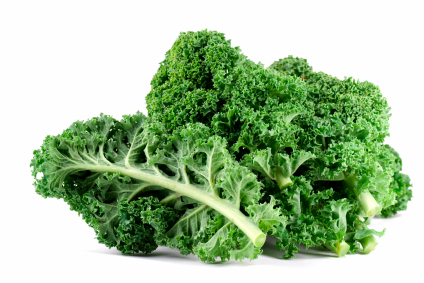 As with any fruit or vegetable, it’s best to buy kale in season. A light frost sweetens kale, so here in NYC, fall or winter is the perfect time to enjoy it. Most people with diabetes have learned that what they choose to eat and drink can help raise or lower their blood sugar levels after meals. So which foods should you choose if you have diabetes? Carbohydrates raise blood sugar faster and have the greatest effect on blood glucose compared to foods that contain proteins or fats. Fiber, protein, and fat can blunt the rise in blood sugar after a meal. Vegetables, beans, whole grains, and fruit for carbs. Fish, nuts and seeds, avocado, olives, extra virgin olive oil, and canola oil for fat. Even so, two people with diabetes may respond differently to the same meal. You may want to check your blood sugar regularly before and after a meal and look for patterns between what you eat and drink and the blood sugar levels that result. You also may want to check the amount of carbohydrates eaten with each meal and try to keep the grams consistent with each meal. 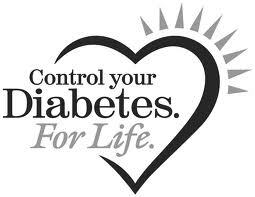 This can help you take charge of your blood sugars. Eating a healthy, balanced diet when you have diabetes doesn’t mean you have to deprive yourself of foods that taste good. The sample menu and recipes below represent meal options that have a good balance of protein and fat and a great source of fiber. These meal options are suggestions that you can plug into your diet — in the right portion sizes — along with any additional fruit, vegetables, grains, dairy, protein, or fats in your plan. Don’t forget to pay attention to the sodium in your diet. Read labels and choose foods that are low in sodium. For breakfast, here’s an example of how you might work in a high-fiber carbohydrate along with some lean protein. Higher omega-3 egg blended with 2 egg whites for egg dish. Add vegetables such as spinach, broccoli, or tomatoes. Dressing made with extra virgin olive oil or canola oil or yogurt. Cooked grains like brown rice, quinoa, barley, bulgur, amaranth, etc. Whole wheat breads — tortilla, pita, buns, etc. Part skim cheese in entrees such as eggplant parmesan, vegetarian pizza on whole wheat crust, vegetable lasagna, enchiladas, etc. To add a couple servings of higher-fiber and nutrient-rich whole grains, serve the chicken salad on 2 slices of 100% whole grain bread or in a whole wheat pita pocket. You can even make a wrap sandwich using a whole wheat flour tortilla. In medium bowl, combine shredded chicken, grapes, celery, and almonds. In small bowl, combine dressing ingredients (light mayonnaise, honey, mustard, and pepper with whisk or spoon until smooth and blended. Drizzle dressing over the chicken and grape mixture and stir to blend. Spoon chicken mixture onto bread of choice to make at least 4 sandwiches, garnish with lettuce and tomato if desired and serve! Makes at least 4 sandwiches. Per serving, including bread (if 4 per recipe): 500 calories, 42 g protein, 51 g carbohydrate, 14 g fat, 2.6 g saturated fat, 6 g monounsaturated fat, 5 g polyunsaturated fat, 96 mg cholesterol, 7 g fiber, 764 mg sodium. Calories from fat: 25 percent. Omega-3 fatty acids = .4 gram, Omega-6 fatty acids = 4.5 grams. Compared to a personal pan pizza at a popular pizza chain, a serving of these spinach & mushroom bagel pizzas has about half of the calories, fat, and sodium and two-thirds less saturated fat and cholesterol and three times the fiber. Cut whole wheat bagels in half with serrated knife to make 4 pizza crust circles and place them, cut side up, on a baking sheet. Spread about 1 1/2 tablespoons of pizza sauce (or 1/2 tablespoon of pesto or light garlic & herb cheese spread) over each pizza half. Top each bagel half with a fourth of the shredded cheese. 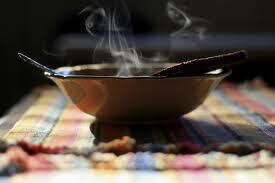 Begin heating a medium nonstick frying pan over medium-high heat and add olive oil. When oil is hot, add the sliced mushrooms and sauté, stirring often, until cooked and lightly browned. Stir in the spinach leaves and minced garlic and continue to stir and sauté until the spinach is bright green but shrunken down (about 1 minute). Add black pepper to taste. Spread the spinach and mushroom mixture evenly over the pizza halves and broil about 4-inches from the heat until cheese is bubbling (watch carefully). If you choose, you can use light coconut milk instead of fat free half and half and coconut extract. You get your veggies, whole grains, and lean meat all in one delicious dish. While the chicken is browning on the skillet, you can be adding the rest of the ingredients to the slow cooker and everything cooks, including the dry brown rice, over the next 4 to 6 hours. Begin heating olive oil in large nonstick skillet or frying pan over medium-high heat. Season chicken with pepper and salt (if desired) and place in skillet to brown well on both sides (about 3 minutes a side). While chicken is browning, in slow cooker dish combine fat free half and half, coconut extract, chicken broth, red curry and brown rice. Add browned chicken on top and arrange bell pepper and green beans over the top of the chicken. Cover slow cooker and heat on LOW for 4 to 6 hours (or until rice is tender). Serve chicken with some of the rice, vegetables and curry coconut sauce and sprinkle some toasted coconut over the chicken if desired (toast coconut on a stove by spreading the shredded coconut in the bottom of a nonstick skillet or frying pan and cook over medium heat, stirring frequently, until the coconut is golden brown. Per serving: 371 calories, 36 g protein, 40 g carbohydrate, 7.5 g fat, 1.7 g saturated fat, 4 g monounsaturated fat, 1.4 g polyunsaturated fat, 75 mg cholesterol, 5.5 g fiber, 271 mg sodium. Calories from fat: 18 percent. Omega-3 fatty acids = .1 gram, Omega-6 fatty acids = 1.3 grams. A healthy spine means a healthier life. Spinal Health Week, a national initiative run by the Chiropractors’ Association of Australia, to educate Australians about the importance of spinal health in improving overall health and wellness. Maintaining a healthy spine, can help you maintain a healthier life. Posture is the position in which we hold our bodies while standing, sitting, or lying down. Your posture directly affects your health. Postural imbalance also compresses your internal organs, reducing their efficiency and normal function. This may cause such issues as respiratory problems, chest tightness, high blood pressure or poor digestion. Fatigue is one of the most common symptoms of poor posture. It takes a lot of energy to hold the body in an awkward position, and, in turn, alters our breathing capacity which can be diminished by up to 30%. Good posture is the correct alignment of body parts supported by the right amount of muscle tension against gravity. Good posture can also increase self-confidence, with one study revealing that people adopting good posture not only display greater confidence but have a stronger belief in their own abilities than those with poor posture. So What Posture Are You? One study has found that over 45% of office workers experience neck pain. Back problems are big contributors to lost productivity in the workplace. Low back pain is one of the most common causes of disability among people of working age, and its impact on industry is enormous. It’s been reported that after headaches and colds, back pain is the third most common reason for taking time off work. Specifically, the work-related physical activities that are believed to be related to the onset of low back symptoms include lifting heavy weights, bending and twisting, and, of course, working in the same position for extended periods. Forward head posture is the most common postural defect found in computer operators . Round Shoulders is distinguished by the hunched over appearance it creates, and is a poor posture that is often associated with office workers and computer operators. The good news is that postural issues can be corrected, and even, in some instances reversed. When in a working environment that requires a lot of desk and computer work, make sure your workstation equipment is ergonomically sound. Take regular breaks – in fact you should take a 1 – 2 minute break every 30 minutes you spend sitting at a desk or workstation. There’s no doubt that pregnant mums and mums with young babies carry a heavy burden – literally. As we tend to our daily activities, posture is the last thing on our minds. Unfortunately, this can often lead to every day tasks – such as housework and social interaction – being performed in ways that are physically taxing to our health and our posture. While postural issues don’t always manifest themselves in a manner that allow us to easily recognise we have them, back pain can be a clear sign that you may need to have your posture assessed. Approximately 70% of women will, at some time in their lives, report low back pain. And during pregnancy, while 50–80% of women have reported back pain, one-third of pregnant women claim this low back pain is a significant problem. Activities such as twisting to lift children out of cars, and frequent carrying of babies or young children on the hips, can cause your hips and shoulders to become uneven. As a woman’s body adapts to her changing weight and shape during pregnancy, the spine and pelvis realign to serve as a counter-balance . One of the issues that can arise from this is Forward Head Posture (FHP). Dowager’s hump (or increased kyphosis) is another postural issue that can occur during pregnancy. It is a condition that increases the natural curve of the upper back. The increased weight from carrying a child can pull your pelvis forward, increasing the curve to your lower back (or increased lordosis). Gardening isn’t exactly an extreme sport, but while you might not need a helmet to participate, you can take steps to avoid injury from maintaining improper posture. Bending over seeding, weeding and watering, the hours can quickly slip by. Then there’s activities like digging, carrying buckets, pushing wheelbarrows and lifting. Done the wrong way, these activities can place strain and stress on our backs, particularly when our bodies are held in unsound positions over a sustained period of time to perform them. It’s easy to understand how back pain can arise from our pursuits in the garden if we don’t undertake these activities in the right way. And not surprising that in general, about 80% of people experience low back pain at some stage in their lives. DIY activities around the home can result in a high rate of injury. In Australia it’s been shown that of DIY injuries presented at an Emergency department, 75% of incidents occur in a residential setting, particularly the garden. Any infrequent activity – whether you’re an avid gardener or a weekend warrior on the sports field – should be prefaced by a few minutes preparing yourself both physically and mentally. In older people, it has been found that the greater the postural issue of Dowager’s Hump (or kyphosis) the greater the odds of experiencing difficulties in activities such as bending, walking or climbing. In the first instance, give your posture a sporting chance. By preparing before you enter the garden and having a few simple rules in mind, you can minimise your chance of experiencing some of these common gardening afflictions. Our Gardening Tips offer a guide to some of these rules. And aside from using the correct posture and tools, take frequent breaks and walk around and stretch, as staying in the same position for too long can contribute to a sore back later that night or the next morning. In addition to the possibility of injury in the playground and on the sports oval, the seemingly innocuous trip to and from school also presents its own postural challenges to our kids. Although fashionable, many of the current bags children are using for school don’t allow for even weight distribution across the back. What’s more, many children put extra pressure on their spine by carrying their bags well below their waistline/lower back. And often a loaded school bag is heavier than the ideal – which is no more than 10% of your child’s body weight. These problems are all the more concerning when you consider that spinal issues during adolescence can impact on the correct development of your child’s spine as they grow into an adult. It has been found that a child is more likely to experience Forward Head Posture while wearing a loaded backpack. It is also not uncommon to see children carrying school backpacks on one shoulder rather than using both shoulder straps for even support. This uneven weight distribution across the child’s shoulders and back can cause a postural compensation and result in uneven hips. Use our Backpack Tips to minimise impact on your child’s spine. And your local Chiropractor can assess your spinal health and provide the Chiropractic care needed to improve it. 1. Start by assessing your own posture. Our self-assessment can give you an indication of postural issues you, or your family, may be experiencing. 2. Make an appointment with your local chiropractor. There is no substitute for having a spinal expert assess your posture. Chiropractors are five-year university trained professionals and chiropractic care is safe. Being spinal experts, chiropractors are best placed to assess your spinal health and provide the appropriate care to improve and maintain it. 3. Commit 3 minutes a day to improving your posture. Just 3 minutes a day dedicated to exercises to improve your posture can make a tremendous impact on your long term health. People who regularly stretch and maintain a good range of motion are less likely to suffer the negative effects of immobility. 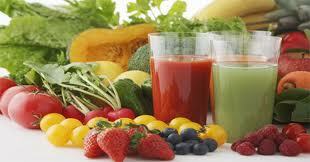 Touted as a way to remove harmful toxins in the body and promote weight loss, detox diets are hotter than ever. Hollywood stars do it days before gracing the red carpet, Dr. Oz has his own formula, spa retreats feature them, and many diet books are based on detox beliefs. But despite the popularity of detox diets, nutrition experts say they are not necessary nor are they scientifically proven to work. Fasting to detoxify and lose weight is not necessary, says Frank Sacks, MD, a leading epidemiologist at the Harvard School of Public Health. “There is no basis in human biology that indicates we need fasting or any other detox formula to detoxify the body because we have our own internal organs and immune system that take care of excreting toxins,” Sacks says. Detox (short for detoxification) diets are extreme, quick weight loss diet plans that claim to flush toxic chemicals from your body. Detox regimes promise purification from poisonous toxins. Detoxing is based on the concept that your body needs help getting rid of unwanted toxins from contaminants in processed foods and the environment. In theory, once free of toxins, your body functions better and your metabolism soars so you can shed those extra pounds. There are a variety of different detox diets, but most follow a pattern of very low calorie fasting with the addition of small amounts of fruits and/or vegetables, water, and assorted supplements. Some diets recommend herbs, pills, powders, enemas and other forms of intestinal and colon cleanses. Methods vary and frequently include products that are only available from the author’s web site. The overall principle of detox diets along with selling questionable products raises a red flag, says Washington University nutrition director, Connie Diekman, MEd, RD. “Detox diets prey on the vulnerability of dieters with fear tactics while gaining financially by selling products that are not necessary and potentially dangerous,” Diekman says. Beyonce made the maple syrup, lemon juice, and cayenne pepper Master Cleanse formula (also known as the Lemonade Diet) famous when she dropped 20 pounds quickly for her role in Dreamgirls. Knowles regained the weight soon thereafter and in interviews warned dieters away from the regimen. Weight loss occurs on most of these plans because they are so low in calories, says Diekman, past president of The Academy of Nutrition and Dietetics (formerly American Dietetic Association). “These fad diet detox plans are nothing more than a quick fix and not recommended for weight loss by registered dietitians,” she says. When you dramatically reduce your calorie intake, you will lose weight. But it can also cause all kinds of health problems, including muscle loss. And when you start fasting, your body goes into conservation mode, burning calories more slowly. Keep in mind that the initial weight lost on a fast is primarily fluid or “water weight,” not fat. And when you go back to eating, any lost weight usually gets a return ticket back. Not only do most people regain weight lost on a fast, they tend to add a few extra pounds because a slower metabolism makes it easier gain weight. “Dieters end up in a worse place than where they started and the weight that is regained is likely to be all fat. Lost muscle has to be added back at the gym,” says Sacks, a cardiologist and researcher at Harvard Medical School. There is little, if any, scientific evidence that detoxification is necessary and effective for good health or weight loss. “Your body is designed to remove toxins efficiently with organs such as the kidneys, liver, and colon. You don’t need detox diets, pills, or potions to help your body do its job,” Sacks says. Experts agree there is no credible science to substantiate claims that detox diets work or the need for detoxification, lymphatic draining, and frequent bowel cleansing. There are no studies available to document the benefits; instead, most claims are based on testimonials. Some detox plans sound like a very scientific approach to cleanse your body of harmful substances. Unfortunately, most detox diets lack the fundamentals that dietitians, doctors, and health authorities know are essential for weight loss and good health. The risks outweigh any benefits, and ultimately, traditional detox diets are not an effective way to lose weight and are potentially dangerous. There are multiple concerns about detox diets: They are based on unrealistic fears; dieters’ lack of understanding how the body works; and they are unnecessary, unrealistic, not sustainable and potentially dangerous. Most people don’t feel great on low-calorie, nutrient-poor diets. Potential side effects include but are not limited to low energy, low blood sugar, muscle aches, fatigue, feeling dizzy or lightheaded, and nausea. Prolonged fasting can lead to more serious health problems. Colon cleanses are not recommended because they can alter your body’s electrolyte and fluid balance. Are they safe? It depends on the plan and how long you stay on it. Fasts lasting a day or two are unlikely to be dangerous for most healthy adults. But high-risk people, the elderly, anyone with a chronic disease, pregnant women, and children are advised against any type of fasting. You can detox in a healthy way, says Christine Gerbstadt, MD, RD author of Doctor’s Detox Diet. “Extremes like colonics, starvation, and prolonged juice cleanses are not recommended, but if you view detox diets as a way of clean eating, then it means eating natural, less-processed foods that are closer to the earth without artificial ingredients,” she says. Gerbstadt’s two-week plan encourages lots of water, whole fruits, vegetables, fiber, lean protein, low-fat dairy, and whole grains. It allows 1,500-1,600 calories per day that to reduce bloat and help shed up to 3 pounds a week. “The plan is not restrictive, satisfies hunger, can be followed long-term, and focuses on getting more fluids, fiber, and [limiting] alcohol,” says Gerbstadt, who is also an Academy of Nutrition and Dietetics spokeswoman. Her top 10 list of natural detox foods include: green leafy vegetables, lemons, watercress, green tea, broccoli sprouts, sesame seeds, cabbage, psyllium (powdered fiber), and fruits. “Beyond weight loss, minimally processed foods are healthy, nutrient-rich, contain fewer chemicals, and the fiber and fluids speed up transit time to relieve gastrointestinal issues like constipation,” Gerbstadt says. So instead of a detox fast, opt for a healthy diet plan that you can stick with long-term. Healthy diets provide at least 1,200-1,500 calories per day and include a variety of fruits, vegetables, whole grains, low-fat dairy, lean protein, beans, healthy fats, and plenty of fluids — along with regular physical activity. Soak the dried mushrooms in the wine in a small bowl for 30 minutes to soften them. Remove the mushrooms with a slotted spoon, and reserve the wine. Chop the mushrooms fine. Set aside both the chopped mushrooms and the wine. Heat the oil in a large soup pot over medium heat and add the spareribs. Sauté until lightly browned on all sides, about 10 minutes, turning the ribs occasionally to brown. Add the onion and sauté until softened, about 3 minutes. Add the garlic, stir well, and cook 1 minute. Add the dried mushrooms and the wine, then the parsley, potatoes, chickpeas, fresh mushrooms, water, salt, and pepper. Bring to a boil over medium heat. Reduce the heat to a very slow but steady simmer and cook covered, until the spareribs are very tender, about 2 hours. Stir frequently but gently. Serve hot, with a sparerib placed to the side of each bowl so the bone is evident. Sprinkle some basil over each serving. Craving Carbs: Is It Depression? Many people crave carbohydrates when they feel low. Does a bad day at the office or a tiff with your spouse send you marching to the cookie jar or the corner bakery? Or do you find yourself at the vending machine every day precisely at 4 p.m. for some crackers or candy? If either scenario fits, you’re not alone. Many people crave carbohydrates — especially cookies, candy, or ice cream — when they feel upset, depressed, or tired. “Carb craving is part of daily life,” says Judith Wurtman, PhD, a former scientist at the Massachusetts Institute of Technology and co-author of The Serotonin Power Diet. She and her husband, MIT professor Richard J. Wurtman, have long researched carbohydrates and their link to mood and depression. The Wurtmans published a landmark article about carbs and depression in Scientific American in 1989. They are convinced that the carbohydrate craving is related to decreases in the feel-good hormone serotonin, which is marked by a decline in mood and concentration. Other experts aren’t so sure. Some wonder if depressed mood and reaching for carbs are both related to an external event — such as the stock market decline — or to simply habit. Carbohydrate Cravings: What’s Known? What’s Debated? Carb cravings seem to be related to decreases in serotonin activity, says Wurtman. “It’s a real neurochemical phenomenon,” she says. The Wurtmans’ work, however, has its skeptics. Edward Abramson, PhD, a psychologist and professor emeritus at California State University, Chico, wrote the book Emotional Eating. He does not think the link is strong and clear-cut. “You could be down because of loss of money in the stock market,” he says. “The depression is triggered by an external event, not by [only] a dip in serotonin. It may be the external event causing the dip in serotonin, not the dip occurring, then the craving, he says. Another possibility, says Abramson, is that carb craving may be just a habit, learned early. For instance, a woman brought up to believe that anger is not an acceptable emotion may turn to eating treats such as cookies instead — because that’s what she did as a kid and perhaps was encouraged to do by a parent. Carb cravings can also result from diets, says Evelyn Tribole, RD, a dietitian in Newport Beach, Calif., and author of Healthy Homestyle Cooking. She sees quite a few dieters who crave carbohydrates, especially if they’re on one of the high-protein, low-carb diets. Several research studies have uncovered interesting facts about carb cravers. Wurtman found that carb cravers can eat 800 or more calories a day than other people. While many carb cravers do become overweight or obese, others control their weight by exercising more, eating less at meals, or turning to low-fat carbs such as popcorn. Researchers at Rush University Medical Center in Chicago found that carb cravers who have a mildly depressed mood seem to be self-medicating. They studied women who were overweight and had a history of carb cravings. They gave them a choice between a protein-rich beverage or a carb-rich one. They found that when the women reported being in the worst moods, they picked the carb beverage more often than the protein one. In addition, the carb drink improved their mood better. 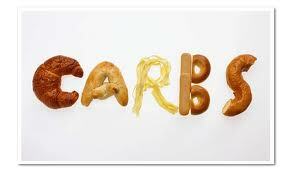 Eating carbohydrates seems to help carb cravers feel better in about 20 minutes, according to Wurtman’s research. When you eat carbs, your body makes more serotonin, the feel-good hormone that is boosted when you are on an antidepressant. Eating the carbs, she says, is an attempt to undo the depressed mood. Carbohydrate Cravings: Normal or Not? Step back and analyze your cravings a bit, Wurtman suggests. Do you crave carbs only when you see someone eating something you like? Then, says Wurtman, you may simply be succumbing to the power of suggestion. Or do you crave carbs when you face an unpleasant task, like balancing the checkbook, and feel better after you’ve had some? Then you may be “self-medicating.” Your serotonin is up, and you are doing what you are supposed to, says Wurtman. When is a carb craving over the top? If you go to great lengths for a carb-rich food continually, you may want to seek professional help, Wurtman says. She recalls a woman who was driven to have a brownie from her favorite bakery many times a week. When a ride wasn’t available, she would go to great lengths to get it, even walking several blocks in the dark or bad weather. That kind of persistent craving may be a sign of depression, not just a funky off mood, and perhaps a clue you should seek mental health care, Wurtman and others say. If your mood stays low and the carbs don’t seem to be helping, you should also consider checking in with a health care provider. If you’re a carb craver, you can learn to cope with them — at minimal or no expense to your health or waistline, experts say. Time your eating to accommodate your cravings. The carb cravings typically grow stronger as the day goes on, experts agree. So eat healthfully at breakfast and lunch and focus on protein-rich foods. “In the afternoon, by the time the sun and your mood start sinking, have a carb snack — popcorn or breakfast cereal — around 4 p.m.,” Wurtman says. Then for dinner, pick pasta, rice or waffles, she suggests. Choose sensible carbohydrate-rich foods. Carbs don’t have to be gooey and chocolatey every time, Wurtman says. She suggests low-fat crackers, for instance, or pretzels. It keeps the fat low but gives you the carbs you want. New information recently released by researchers at Michigan State University’s College of Nursing helps to shed some light on the problem of establishing healthy dietary preferences in young children, and more importantly, may help both parents and medical professionals find more effective ways to approach it successfully. Does Your Diet Really Affect Your Child’s? In order to better understand the connection between mother’s dietary habits, and those of their children, researchers questioned almost 400 low-income women from all over the state with pre-school-aged children then currently enrolled in educational head start programs. In today’s busy world, it’s easy to fall into a routine of serving your family convenience foods — especially when dealing with young children and toddlers, whose taste buds can be very difficult to please. Still, the importance of developing smart dietary habits early in life cannot be overstated. Without a balanced and varied diet, growing bodies don’t get the vitamins and minerals they need to thrive. There’s more to it than just working a few extra vegetables into dinner. (Although cooking meals at home instead of eating out every night is a smart first step for some.) Make sure that fresh snack options are also readily available for those in-between bouts of hunger. Not only is this better for your family’s health, replacing prepacked commercial snack products with seasonal organic fruits and vegetables or raw nuts and seeds is a great way to save money in the checkout line. Parent’s of so-called “picky eaters” should also keep in mind that some children may need to be exposed to a given food as many as 15 times before they are able to decide whether or not they like it. So don’t give up just yet on convincing your little one that broccoli is good. In the long run, it’ll be worth the effort. 1. Preheat oven to 180° C. Heat a fry pan over moderate heat and spray with oil. Add the onion and garlic and fry until the onion is soft. 2. Add the mince and brown, stirring regularly to prevent sticking or burning. 3. Add the herbs and season with salt and pepper to taste. Mix well. 4. Reduce the heat and add the tomatoes and cook for 10 minutes. Taste and add more Worcestershire sauce, herbs or salt and pepper if needed. Add the tomato paste and cook a further 5 minutes. 5. Slice the stalk and about 1cm flesh off the capsicums and scoop out the seeds and membranes. 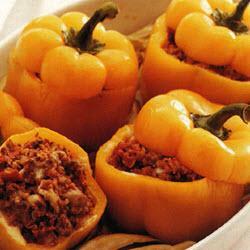 Fill the cavity with the mince mixture, replace the tops and stand the capsicums in a baking dish. Bake for 20 to 30 minutes. 6. Serve with a garden salad. 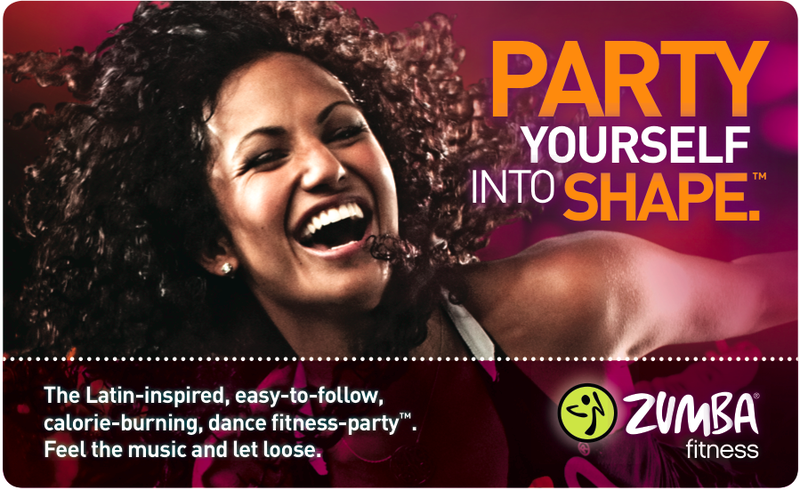 Zumba at Coffs Coast Health Club, why is it good for you to dance? Dance is a great way to stay in shape. Dancing can bring fun back into the exercise. Dancing is all about moving your body and moving your body is a great way to burn calories. How many will you burn depends on how vigorously you dance. In an one-hour session you can burn from 250 to 400 calories. Yes, losing weight can be fun and enjoyable. Dance can effectively promote good health by improving cardiovascular fitness, strengthening the muscles, increasing circulation, decreasing blood pressure, lowering the risk of coronary heart disease, reducing stress, and many other positive benefits. Great for improving control over your body, timing and coordination skills. You will learn how to move with grace and poise. Dance is a weight-bearing activity, meaning it’s great for your bones. Weight-bearing exercises has been proven to increase bone density and help reduce the risk of osteoporosis. Dance builds confidence by giving you a sense of success and achievement when you master it. Dancing provides a natural icebreaker and is a great way to meet new people and make new friends. Any exercise can raise your spirits by raising the endorphins or so called feel good chemicals. This can lighten your mood and reduce the risk of depression. Dancing will keep your mind active. It will improve circulation to the brain and help stimulate the memory by remembering all the steps. Great mental exercise. Dance has an outstanding positive effect on both physical and psychological well-being. There you have it – 10 reasons why you should dance. There are, of course, many more benefits of dancing, but we have to stop somewhere. You are currently browsing the Coffs Coast Health Club blog archives for May, 2012.